Sunday, November 30, 1913: Went to Sunday School this afternoon. This isn’t the church Grandma attended–she went to the Baptist church which was torn down years ago–, but here is a recent photo of St. John’s United Church of Christ in McEwensville. Grandma went Sunday School almost every Sunday, so she obviously got something important out of attending: however, a hundred years ago church leaders sometimes worried about teens who did not attend Sunday School. I found an interesting book published in 1913 called The Sunday School and the Teens. It is a report of the Commission on Adolescence of the International Sunday School Association. 1. Competent and interesting teachers. 2. Some form of class organization. 3. Some social life connected with the class. 4. Something definite to do. 5. Lessons that have to do with life. Posted on November 30, 2013 November 29, 2013 by SherylPosted in OtherTagged family history, genealogy. I guess those five points of advise still count for any class/ form of education today! It is a lovely classic church building. Some things don’t change with the times, I guess. I still find it interesting that they went to Sunday School in the afternoon! One of the continuing mysteries of the diary is why they generally went to Sunday School in the afternoon (and why there are also occasional diary entries that mention going to Sunday School in the morning). Our church has youth group for teens and my daughter lost interest for many of the reasons the book in 1913 listed so now she attends services but not youth. Sometimes she goes to youth group at a different church with some friends. It’s interesting how some things really haven’t changed much across the years. The more things change, the more they stay the same, it seems. Thanks for this, and the whole series. I love seeing your photos! Yes, it is amazing how teenagers are the same and yet not enough has changed in 100 years to accommodate them. I did notice at my church service last week that no young people were present. They all attend a separate service that is relative to them. Someone is making an effort to keep them engaged. It’s good that your church it trying to figure out ways to keep teens engaged. It can be hard to sit still–especially on hard, wood benches. Sunday School and church would’ve been one of the best places to socialize, once a person was out of school, right? Where else would Helena have regularly seen friends? Yes, I’m sure that you are right. Sunday school and church were (and are) important places for people to socialize in rural areas. Your comment reminded me that when I was in college I took my room-mate home to my family’s farm one week-end. She was from a suburban area. She commented that the farmers visiting after the church service reminded her of cocktail parties that her parents attended. Hmmm . . . Without the cocktails. At least at the church I went to when young! Definitely without the cocktails. 🙂 I think that she was referring to the conversation. The conclusions of the report seem reasonable. Too bad churches, then and now, don’t invest enough time and attention to youth programs. I agree. . . .involving the next generation is so important. 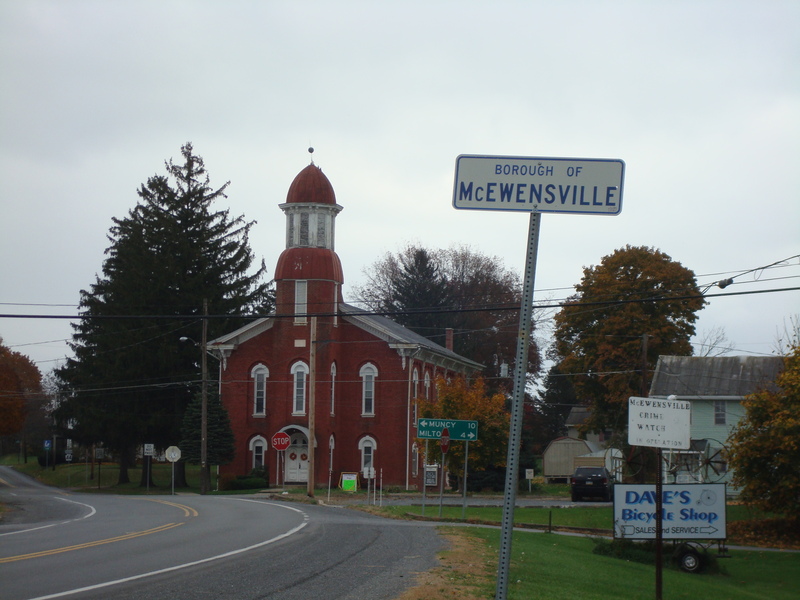 I hadn’t thought about the possibility that the church might not have had a pastor–or that if it did, that it may have been part of a large parish, and the pastor may not have been able to get to the church in McEwensville very often. As a small child we attended Sunday School, I liked the singing the most. “This little light of mine will shine” was my favourite.